So I have to say that the Invention series is gorgeous. I am entranced by all of them and I want to pick up all of them. Mostly. I don’t have a use for the mana accelerants, but they are all beautiful and shiny and really appeal to the showing-off aspect of playing Commander. I have many direct wants for different decks when it comes to Inventions, and I know that right now is not the time for buying Inventions. Supply is too low, demand is sky-high. They are getting opened in droves, which means volatility in prices. What I want to do today is look back at the Expeditions and see if there are price trends that I should be paying attention to. I wrote a year ago about what to do if you opened an Expedition, and while the principles still apply, I want to focus on the Expeditions and how they relate to what I think will happen in the end with Inventions. Let’s look at one of the high-end Expeditions: Scalding Tarn. So it started CRAZY high, at $450 when this was first introduced, but it swung down to nearly $200 and then back over three, which is about where it’s settled in now. This graph makes a lot of sense. We didn’t know how many of these there would be, and we didn’t know what the pricing would be. As the numbers came out (more copies than expected) the price dropped, but recovered well. Most importantly, it’s been relatively stable for this year, and that’s what I want to know. This is an interesting graph as well. We have the same fluctuation at first, but there is a distinct downward trend. 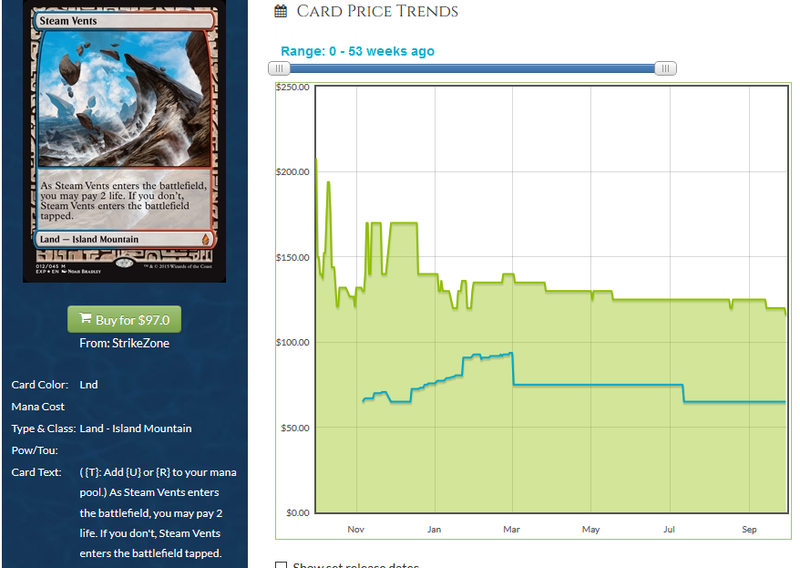 It’s a slow trend, but it’s there, with the drop in buylist pricing is there in July for almost all of the Expeditions, even if the price is creeping upwards. These are also trending slowly downwards, and that’s important to note with the Gearhulks and whatever the newer Inventions will be. When Aether Revolt lands, I will look at those Inventions alongside the Oath of the Gatewatch Expeditions. So in general, these have trended downwards slightly. That’s super important to keep in mind going forward, indicating that patience is my keyword when it comes to the Inventions I want. It’s not universal, though. 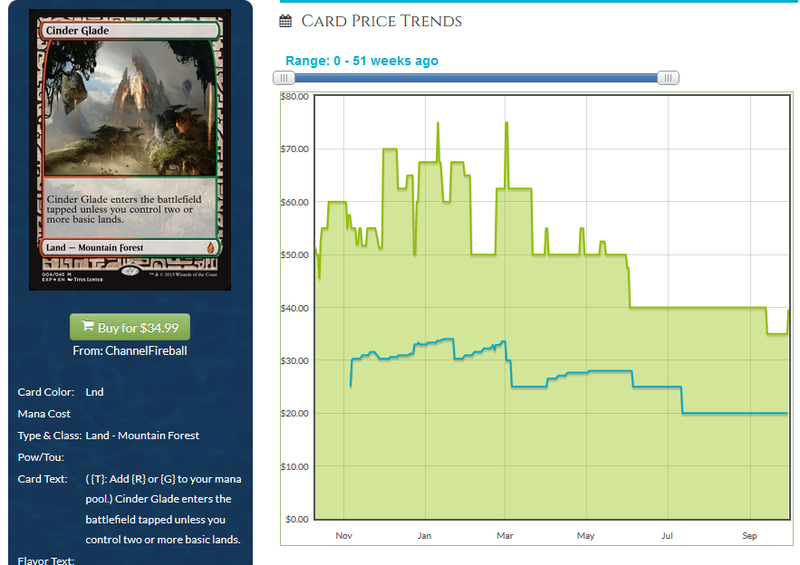 For one, Overgrown Tomb has gone up, perhaps matching the recent rise of Abzan decks in Modern. Not every Expedition has followed the same track, and it’s worth noting that there were no first-time foils in the Expeditions, where we have our first foil Mana Vault. 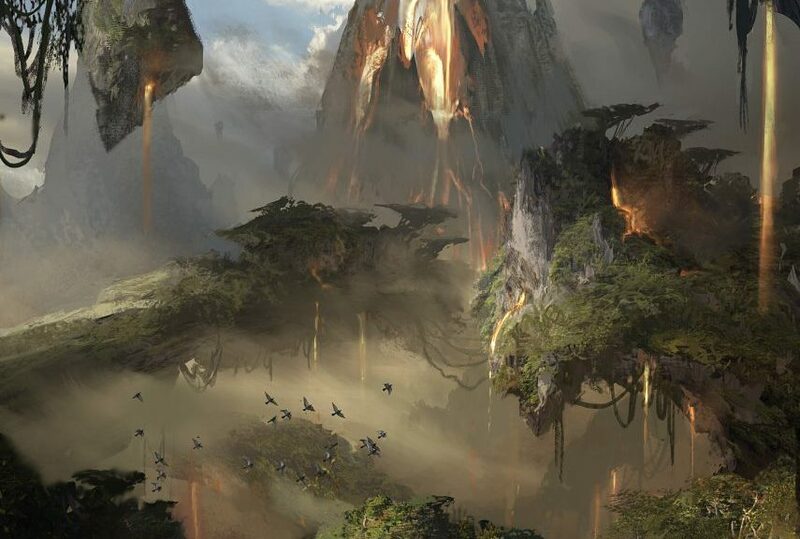 Other writers have noted that the presence of Inventions will lower the price of every other card in the set, and that looks true for Battle of Zendikar. Prices for that set are extremely low, even considering that the set only has six months to rotation. In general, I expect all prices to drop over time, but what I want to know, and what only time will tell me, is how patience will pay off for the Inventions as well as the Expeditions. Full disclosure: I’ve put a couple of Inventions on my Puca want list, with a bonus of 15%, and I am confident that I’m going to get at least one of the ones I want. I know that a lot of people are down on PucaTrade at this point, so I want to be clear that I still have points and I still have faith. Did you mean first time foil Mana Vault? Crypt had an EMA foil, and a judge foil before that. 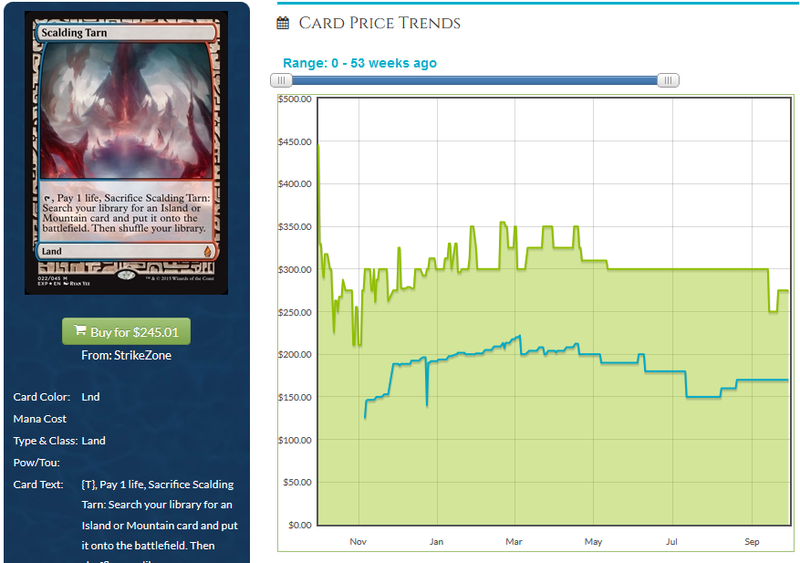 What do you think of the price on first time foil Mana Vault? Been thinking about one for edh.